MVRDV and OVG Real Estate won a competition to design the new high-rise complex in Amsterdam‘s Zuidas Business District. 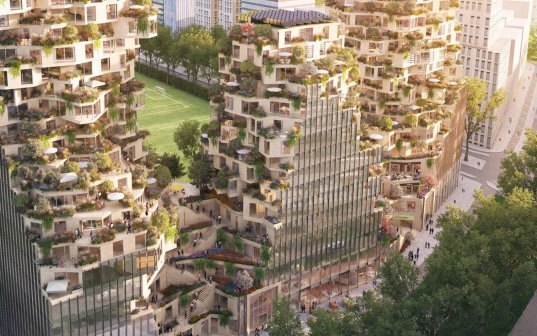 The design includes three main high-rise volumes covered in greenery with protruding bay windows, reminiscent of a vertical green village. 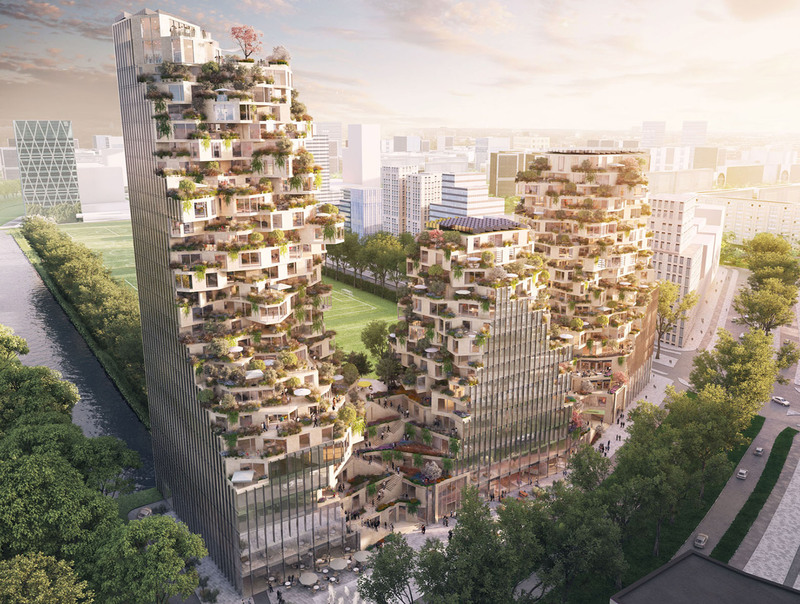 Located in the developing Zuidas business district, near the ABN AMRO’s headquarters, and the Sportpark Goed Genoeg, the building will house a mixed program of apartments, offices and commercial spaces. It will cover a total floor area between 50,000 and 75,000 square meters and open to the public; the public space literally extends into, and over, the building.